Baltimore Meetup for the Art+Feminism Wikipedia Edit-a-thon! “Wikipedia’s gender trouble is well documented: in a 2010 survey, Wikimedia found that less than 13% of its contributors are female. The reasons for the gender gap are up for debate: suggestions include leisure inequality, how gender socialization shapes public comportment, and the contentious nature of Wikipedia’s talk pages. The practical effect of this disparity, however, is not. Content is skewed by the lack of female participation. Many articles on notable women in history and art are absent on Wikipedia. This represents an alarming aporia in an increasingly important repository of shared knowledge. Stop by the Decker Library from 1:00pm to 3:00pm for an informal edit-a-thon on the theme of art and feminism this Saturday! Civil Society Institute Fellowship: Apply by February 15th! Civil Society Institute Fellowship: One award for an east coast minority artist with demonstrable financial need; preference will be given to artists from New Haven, Jersey City, and Baltimore. Award includes a $500 travel stipend. These is just one of the 43 fellowships available at our February 15th deadline–including 25 merit-based fellowships open to all artists and writers anywhere in the world. Learn about all of our current fellowship opportunities at: www.vermontstudiocenter.org/fellowships. Applications must be received by February 15th, 2014. Apply at www.vermontstudiocenter.org/apply or vsc.slideroom.com. Contact David Grozinsky at david@vermontstudiocenter.org or 802-635-2727 with any questions. Vik Muniz, Chuck Close, Sarah Sze and Jean Shin have been commissioned by the MTA to beautify the 2nd Ave subway. 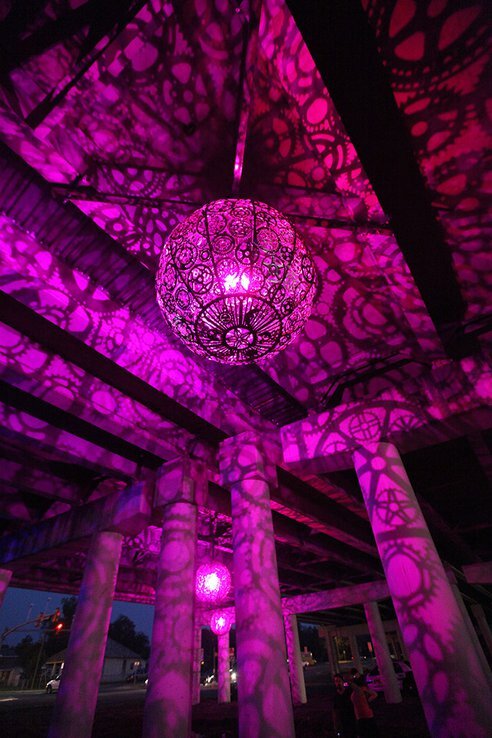 List of temporary public art projects in Boston, via the Boston Art Commission. 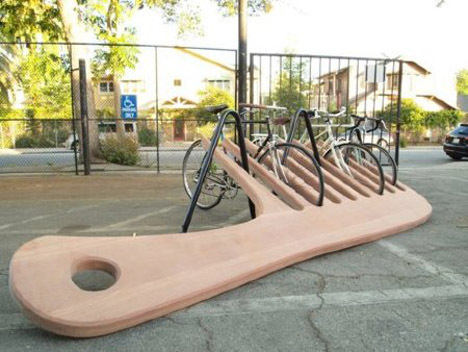 In an effort to promote bike-friendliness in Roanoke, VA, the city is getting its very own piece of intriguing cycling art in the form of a giant wooden comb. The nature of failure in art is a topic that seems to rise to surface every few years or so, and most of these articles can have a pop psychology feel to them, but these are some of the more recent articles and worth an artist’s time, even if to make you rethink your approach in the studio. Interview with Sarah Davis at Art21. Barry Schwabsky write about art schools and the nature of failure in the Nation. Tony Kushner on “failure art” and writing in the New Yorker. Learning to embrace failure can help artists succeed, Sarah Lewis argues in the Salt Lake Tribune. Carol Becker on art, research and failure. Why Failure Is the Best Friend of Creative Innovation, by Liz Chavez in Huffington Post. The Gift of Doubt: Albert O. Hirschman and the power of failure, by Malcolm Gladwell in the New Yorker. From the Walters Art Museum’s ART BITES program last weekend, there is a new blog, http://bmorepublicart.dreamhosters.com/, intended to function as a crowdsourced site to collect images of our city’s murals, sculptures, monuments and artworks and help to make them more accessible. More info to come soon but definitely worth taking a look at! Openings and activities in and around Baltimore- January 2014. Current Gallery opening this Friday: Nip Slips Artists: Connor Creagan, Margaret Daviet , Alan Resnick, Allie Linn, Flannery Silva & Kim Westfall, curated by Evan Roche and Colin Alexander Opening Reception Jan 25, 2014, 7-10 pmOpen weekends from Jan 25-Feb 23, 2014 and Sublime Cultivation by Christopher Rodriguez (curated by Carl Gunhouse. Opening Sat. Jan. 25th, 7-10PM Gallery Hours, 12-4PM) Sat. & Sun. Guest Spot MICHAEL SCOGGINS *ART STAR Project Room: RYAN SYRELL; January 10, 2014 – February 15, 2014 , open Saturdays 1pm-4pm, Wednesdays 5pm-7pm, or by appointment unless otherwise noted. Gallery CA Join The Feminist Art Project – Baltimore for our first event, Speak Up at Gallery CA! Speak Up is an evening of spoken word and funny, heartfelt ruminations featuring “The Slam Up Tour”. Doors Open at 6:00 pm, Open Mic at 6:15 and Slam Up goes on at 7:30 pm. This event is FREE! Speak Up will also include work by Baltimore artists; including a performance piece by Katie Duffy and video pieces by Tiffany Black, Allana Clarke and Danisha Harris. Open Space will be putting the fifth Prints and Multiples Fair at D center, the weekend of March 8-9. Now accepting applications! Maryland Art Place Light Touch, Exhibition Dates: February 12 – June 22, 2014. Public Reception: March 5, 11-3pm, International Pier of The Baltimore Washington Airport. Light Touch includes artwork by five artists who use photography to explore aspects of the physical world. The presenting artists are: Chrystal Lebas (UK), Heidi Morstang (UK), Marja Pirila (Finland), Lynn Silverman (Baltimore), and Frank Hallum Day (Washington, DC) and is produced in partnership with UK curator, Liz Wells, The Society of Photographic Education Conference 2014 (Baltimore City,) and Baltimore Washington International (BWI) Airport. Pinebox Art Center FEB. 17-19…CoHosts: Nick Cave & Pinebox Art Center. Thanks to the tremendous efforts of The Contemporary and their new collaborative speaker series “CoHost,” Pinebox will be co-hosting a 3-day residency and lecture of Chicago based artist Nick Cave!! Creative Alliance Works by Artist -in-Residence Francisco Loza will have artwork displayed in the Marquee Lounge. Selected works on view January 22 – February 22. 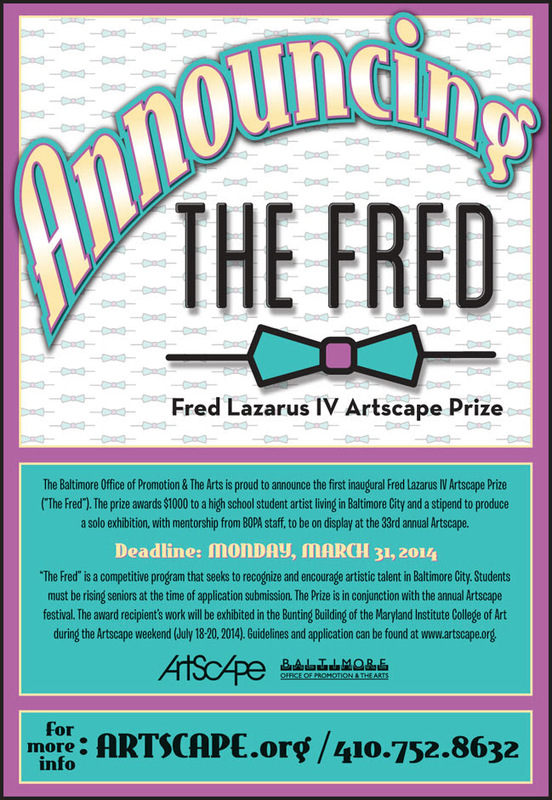 Amalie Rothschild Gallery January 24 – February 8, 2014 Reception: Friday, January 24, 5:30 – 7:30 pm In collaboration with Johns Hopkins, the Creative Alliance hosts a Black History Month Competition featuring works by East Baltimore public school students. 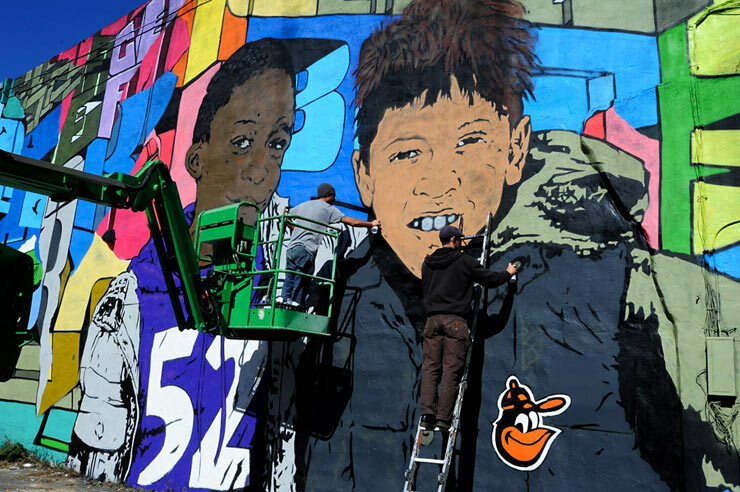 Students from kindergarten through twelfth grades create mixed-media works to depict the history of African Americans specific to Baltimore City. Fight or Flight February 8 – March 22, 2014 Reception: Saturday, February 8, 5:30 – 7:30pm Fight or Flight showcases all new artwork by Alessandra Torres and Katie Pumphrey, created over the course of their respective three-year residencies at the Creative Alliance. The exhibition explores themes of confrontation, reflex, competition, territory, instinct, interaction, and personal space. School 33 BiPolar, curated by Andrea Pollan in GALLERY ONE Jan 17, 2014 – Mar 08, 2014 Opening Reception: January 17, 2013 6pm to 9pm Participating artists: Lauren Frances Adams Katie Duffy Mary Frank Hedieh Ilchi Dan Perkins. Animal Sightings, by Rebecca Katz in Members’ Gallery January 17 to March 8 Opening Reception: January 17, 2013 6pm to 9pm. In the Round, by Morgan Frailey and Kristin McWharter in Project Space January 17 to March 8 Opening Reception: January 17, 2013 6pm to 9pm. Baltimore Museum of Art Front Room: An-My Lê October 9, 2013 – February 23, 2014, Black Box: Gerard Byrne October 23, 2013 – February 16, 2014 Morris Louis Unveiled September 8, 2013 – February 9, 2014 Baker Artist Awards 2014 February 26 – April 6, 2014The BMA presents artworks by sculptor Jonathan Latiano and photographer Lynne Parks and a video presentation of cellistDariusz Sckoraczewski, winners of last year’s $25,000 Mary Sawyers Baker Prize. Towson University Galleries American Photography X2, opening reception Thursday, Feb 6, 2014 7:30opm to 9pm. Featuring Eadweard Muybridge, Alfred Stieglitz, Ansel Adams, Walker Evans, Bernice Abbott, Edward Weston, Dorothea Lange, Margaret Bourke-White, Paul Strand, Gabriela Bulisova, Don Camp, Susan Fenton, Robert Gerhardt, Alexander Heilner, Connie Imboden, Nina Katchadourian, Nate Larson, Ben Marcin, Jeffrey Stockbridge, Blaise Tobia, Phillip Toledano and Ion Zupcu. This opening coincides with Claire Girodie’s Argument from Silence and MFA thesis exhibitions from David Armacost and Zeke Luman. MICA Exhibitions Look Now, Pinkard Gallery; this exhibition will feature work by Thomas Baird; Regina DeLuise, Photography Department chair; Jay Gould; Alexander Heilner, associate dean for design and media; Nate Larson, chair of the 2014 SPE National Conference; John McNeil, photography manager; Lynn Silverman; Laurie Snyder; Colette Veasey-Cullors ’96 (photography); and Jack Wilgus, faculty emeritus. Picture Windows and The Amazing Johnny Eck, Meyerhoff and Decker Galleries, until March 16. Stevenson University Gallery Balto Retro Show 2014 Jan. 13-April 11 Reception: Wednesday, Jan. 22, 5:30-7:30 p.m., Presentation: Wednesday, Jan. 22, 7:30 p.m. School of Design Gallery. A collection of Baltimore-area creative professionals display award-winning design and illustration work created during the 1980s and before. The exhibition is presented in collaboration with The Society for History and Graphics. Guest curated by Jerry Litofsky. Loyola University Gallery CIPHER: New works by Stephanie Benassi Jan. 17-Feb. 16, 2014, Artist talk and reception: Thursday, Jan. 23, 5-7 p.m.
Area 405 is in the middle of their Cinema Series- check out their website for current schedule.